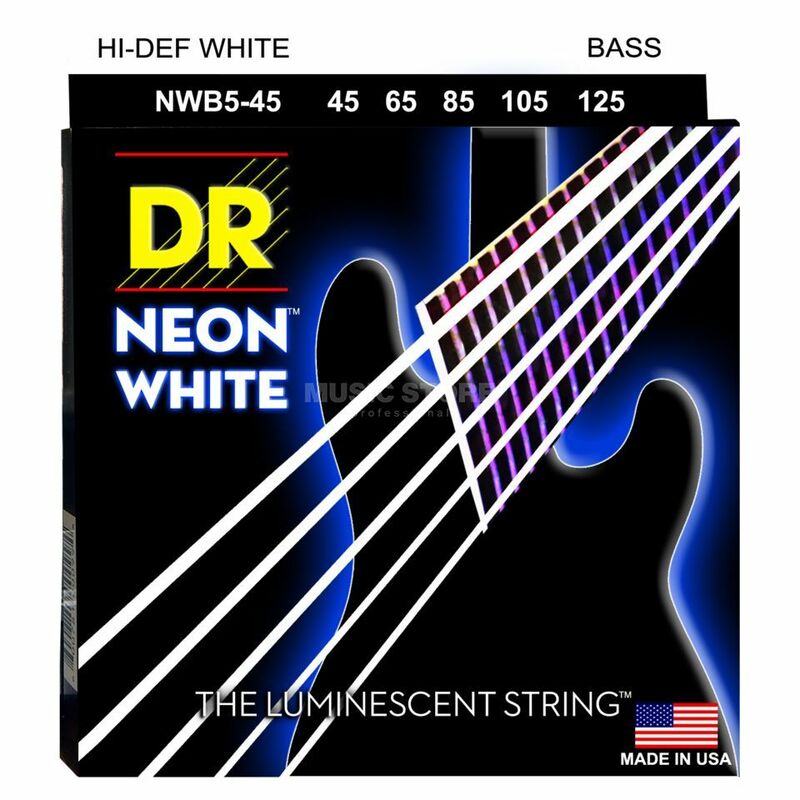 The DR NWB5-45 Bass Guitar Strings White is a set of 5-string bass guitar strings with a white luminescent K3 coating, a roundwound design over nickel-plated steel, and a medium gauge of .045-.125. DR NEON Strings are very bright colour coated strings that sound clear, bright and musical. These strings keep their brightness regardless of daylight or under stage lighting and are also black light reactive thereby glowing strongly when under UV lighting.